Anglicans in New South Wales and Victoria have been urged to contact their MPs to oppose euthanasia and assisted suicide legislation. The General Synod of the Anglican Church of Australia, which met in Queensland, passed a motion opposing the legalisation of ‘assisted dying’. The motion, moved by Dr Denise Cooper-Clarke from Melbourne and seconded by Sydney delegate Dr Karin Sowada, noted General Synod resolution 81/10 - passed seven years ago, affirming the sanctity of life; that life is God’s gift and that our task is to protect, nurture and sustain life to the best of our ability. 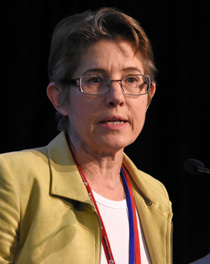 Previously, Synod had expressed its opposition to euthanasia in 1995 in response to legislation passed in the Northern Territory, later overturned by Federal Parliament. “Suicide is a major social problem and we rightly spend resources aimed at reducing the suicide rate. If assisted dying were legalised we would, on one hand, be promoting suicide prevention and on the other, promoting suicide as a legitimate choice.” Dr Cooper-Clarke told the Synod. Dr Sowada cited the short-lived Northern Territory legislation as the only time a Parliament has voted in favour of Euthanasia. Dr Sowada cited the example of Belgium, where in the space of less than 15 years, what started as an intention to relieve physical suffering in terminally ill adults now includes those with mental suffering, including psychiatric conditions. Three years ago, euthanasia for sick children was legalised. “There are no safeguards that can be developed which will protect the vulnerable and the frail aged. There is nothing that can stop the socialisation of euthanasia over time in our community and the extension of its practice. The doctor-patient relationship will fundamentally change.” she said. 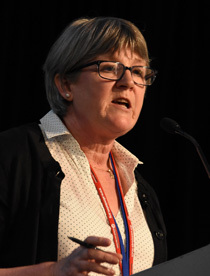 The motion further called on State and Territory governments to better resource palliative care services, including in regional and remote communities, Aboriginal communities and nursing homes, and to provide better training in palliative care for all health professionals. The motion recognised the vital contribution made by people of faith to public debate and urged Australian Anglicans to contact their MPs to express their views, particularly in NSW and Victoria where legislation will be debated this year.